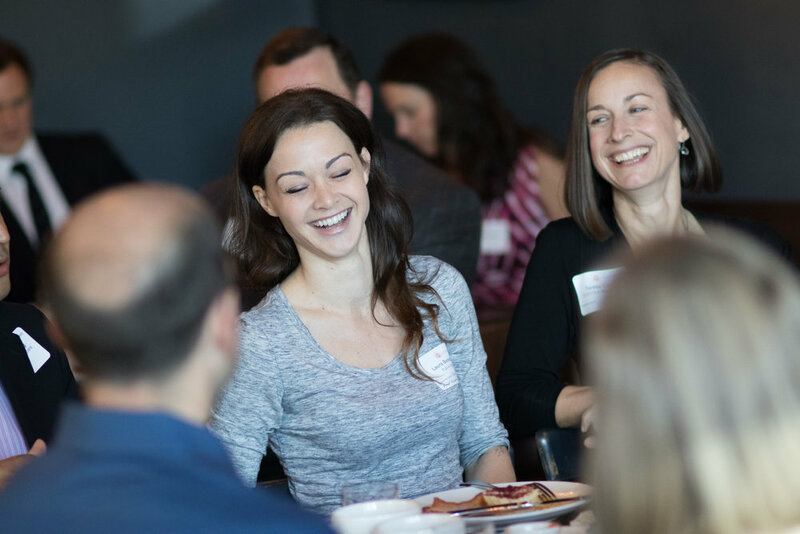 On Wednesday, May 17, 2017 AgencySparks kicked off the day with another successful Marketer’s Breakfast! 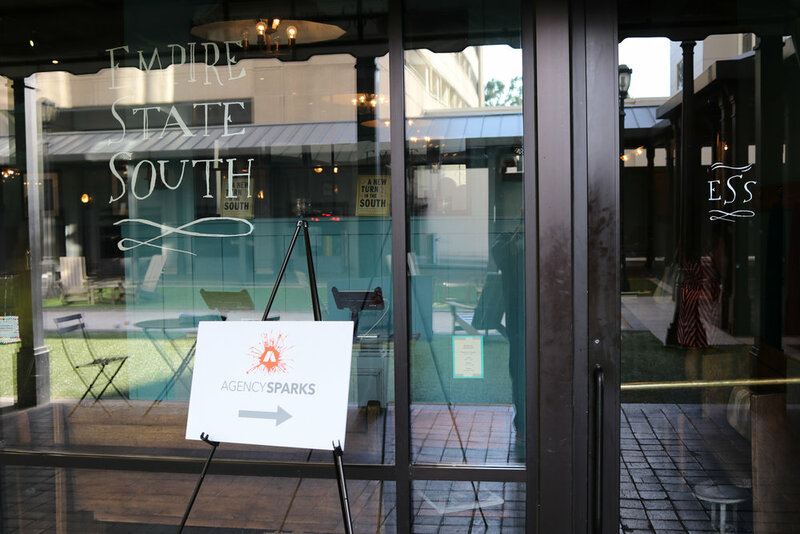 The AgencySparks team welcomed first-time attendees which included senior marketers from brands like Delta Air Lines, Carrier, and Carter's/OshKosh amidst some familiar faces from Turner Classic Movies, Coca-Cola, Equifax, and Georgia Pacific. Within minutes, our private room at Empire State South filled to capacity with enthusiastic (and hungry!) participants ready to share their unique perspectives. After a brief networking period, the food was served and the meeting began. Since making the initial spark is what we do best, the meeting opened with introductions in order to create an inviting and comfortable atmosphere. As an icebreaker, we asked attendees to share their name, company, and favorite band. It was a fun way to kick off the meeting and get to know each other better. There’s never been a shortage of “Bacon, Biscuits, and Knowledge” at any of our previous breakfasts. 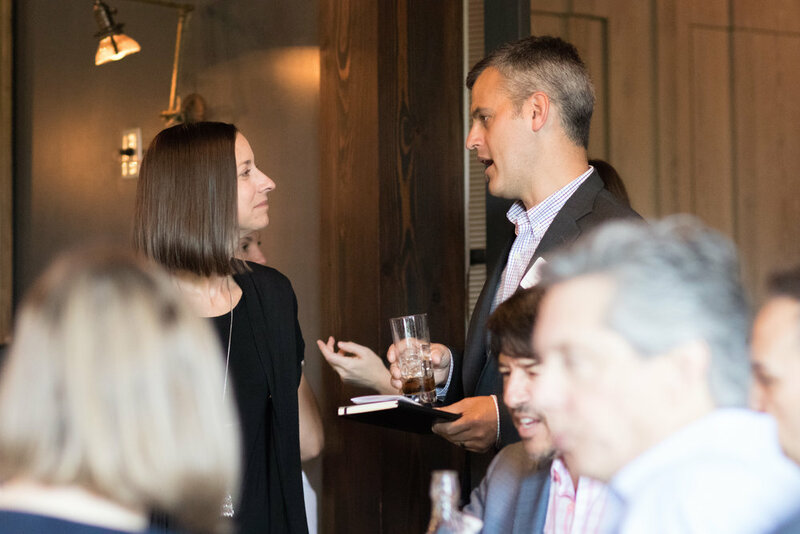 During this event, we wanted to gain insights from senior marketers and agency leadership about how they measure the performance of their marketing initiatives. AgencySparks solicited questions in advance from the marketers to serve as a catalyst for the discussion. How do you measure the success of your marketing organization? How do you come up with those KPIs within your business? 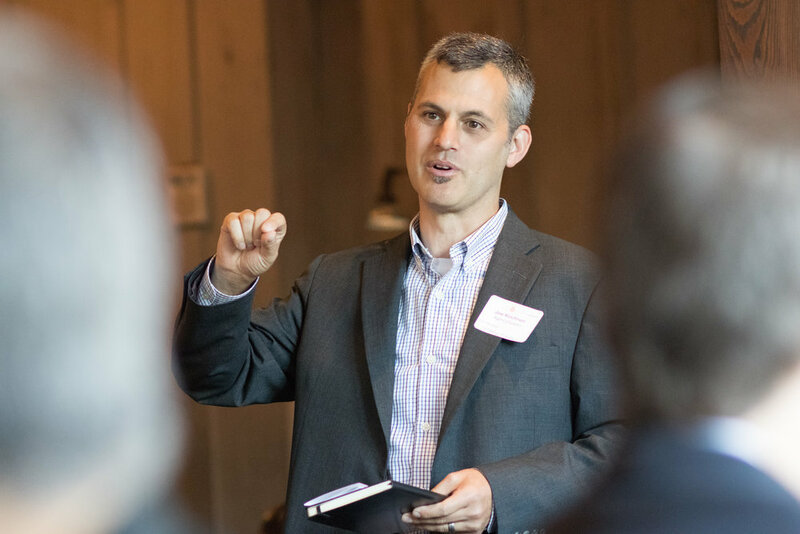 How do you communicate the right data to the C-Suite? Not surprisingly, companies like Delta Air Lines measure success differently from smaller organizations like Serta Simmons Bedding. What was surprising, however, was just how many ways companies differ in how they measure success. How often do companies measure return on investment (ROI)? Answers ranged from weekly to yearly. Do companies use net promoter score (NPS) in the calculation of brand health? Half of the room said yes, half said no. Is revenue the ultimate measure of ROI? Most companies agreed, but non-profits like The Boys and Girls Club of America valued brand equity more than revenue. Timing is everything. Everyone chimed in with agreement when Shannon Harlow, Sr. Director of Marketing Analytics at Equifax, mentioned the time lag between the release of content/products and results. When analyzing results, companies often focus on the “now now now,” but it’s important to evaluate surrounding factors when it comes to brand success. Distinguishing the difference between gut, intuition, and concrete facts became the focus of the discussion soon after. The air settled when Imran Manji of Sid Mashburn stated that “gut” feeling decisions need to be extracted based on a foundation of data. Opinions differed regarding releasing content through social media or TV. Danica Kombol, CEO of Everywhere Agency, made the case that using social media to gain traction is more efficient than TV because it is evergreen whereas TV disappears in the long run. However, Jaclyn Cannon, Chief Digital Officer of Iconic Group added that TV provided an instant lift in downloads for mobile products when she worked for The Cartoon Network. 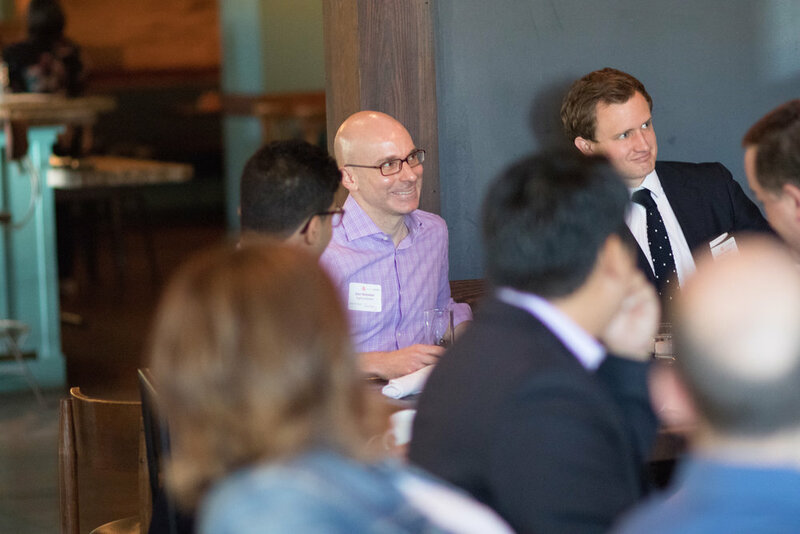 Clearly, a recurring theme of the breakfast was that there is no “one-size-fits-all” when it comes to measuring marketing results. Ultimately, success depends on the brand, the ways the brand is presented, and the business model as a whole. Regardless of channel preference, Moira Vetter, CEO of creative agency Modo Modo, made a fair point that one way to increase marketing budgets is to highlight the actions of the competition to increase resources and to benchmark success. Some marketers expressed concerns regarding analyzing data accurately when budgets are low and talent is hard to find. Harlow, (Equifax) who has extensive experience building data teams, advised combining engineers with business/marketing people so that both groups benefit from each other’s knowledge/skill. Watch these tools in future Marketer’s Toolbox posts! Every Friday we post helpful tools and tips to influence your business in the Marketer’s Toolbox! Check our past posts here.